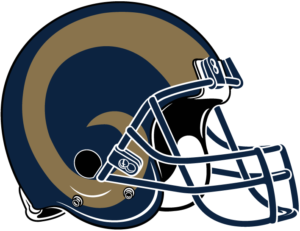 The Rams have always had one of the more unique and great helmet logos in the history of sports. 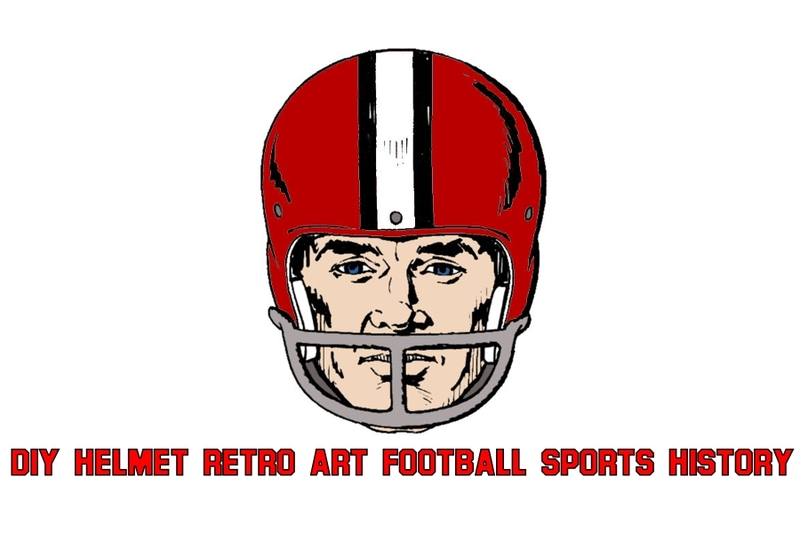 It makes sense, considering they were actually the first NFL team to include a logo on their helmet all the way back in 1948 when they added hand painted horns to their leather helmets. The team, that originally started out in Cleveland Ohio, has moved several times, but they have stayed true to their past by always including the legendary Rams horns in all of their uniform changes. The Rams have also kept their familiar blue and gold color scheme for most of their history. 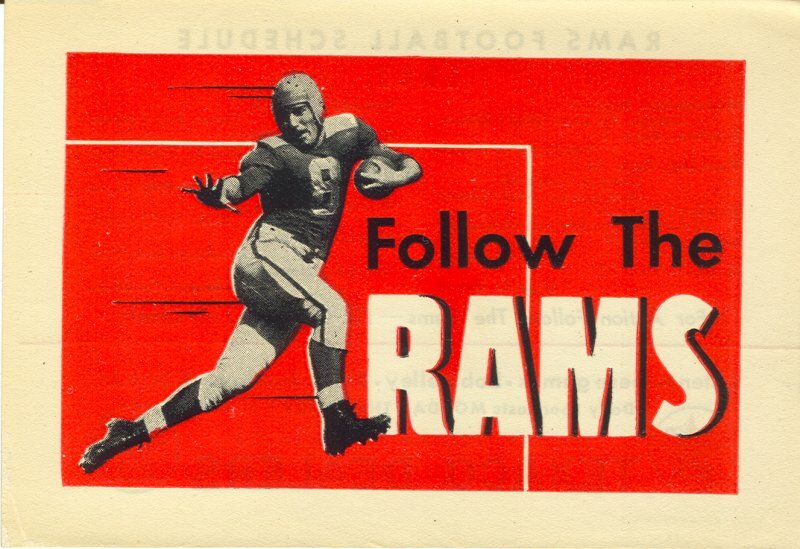 The lone outlier being their red helmet and more natural rams horns in 1949. The red color scheme was a throwback to their first year in Cleveland which featured a red leather helmet. The Rams would come to their senses the next season and return to the more familiar Yellow and blue throughout the 1950s and early 60s. The Rams would also use a Blue and white design for several years in the 60s. 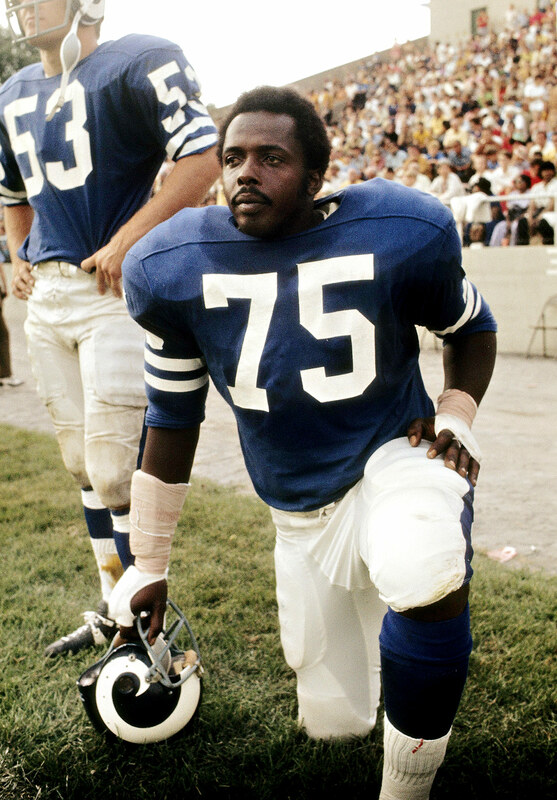 This look was most famously adorned by the great Deacon Jones. The Rams would once again switch back to the blue and yellow design for the 1973 season and where it through their move to St. louis and their 1999 Super bowl Championship. After “The Greatest Show On Turf” won their championship the Rams decided it was time for a fresh look and went to a darker blue and Vegas gold horns. When it came time for me to make my custom refurbished Rams helmet I was torn between going with the current navy and Vegas gold model or the classic yellow and royal version. In keeping with making all of the current helmets first I decided to go with the latter. The first step for this helmet was finding the matching paint. I already had dealt with navy blue when I made my broncos helmet, but I was looking for a more metallic navy blue for the Rams shell. Since then I have learned a new technique for making any paint metallic, but at the time I was still learning. Instead of going the traditional enamel paint route I decided to check out the options at my local Pep boys. Pep Boys and most other auto part stores have a wide selection of “perfect match” paints for every make and model car you can think of, which means there are plenty of colors to choose from. Most of these have a metallic finish, so they are perfect for painting a helmet. The only problem with the Perfect Match paints is the fact that they are a lacquer which can make some things tricky due to the paint’s curing process. This means it is not recommended that you use an enamel primer. It also makes clear coating a little bit tricky as well. Overall, though, a lacquer can give you great coverage and a professional looking surface. I decided to go with the Perfect Match True Blue. It is listed as a Ford color, but that is obviously irrelevant to my application. The other downside is that these paints generally come in a smaller can and are more expensive, which can lead to doubling the price of paint supplies. After painting with this paint, I waited a week or two before applying the clear coat. Because it is a lacquer you could technically just wet sand and polish, but I decided to go with clear coat anyhow. After the clear coat was fully cured, I went ahead and wet sanded and polished. Los Angeles Rams Custom Painted Helmet.